Speeding cars, heavy traffic all adding to a boiling point in residential subdivision used as a shortcut across town. 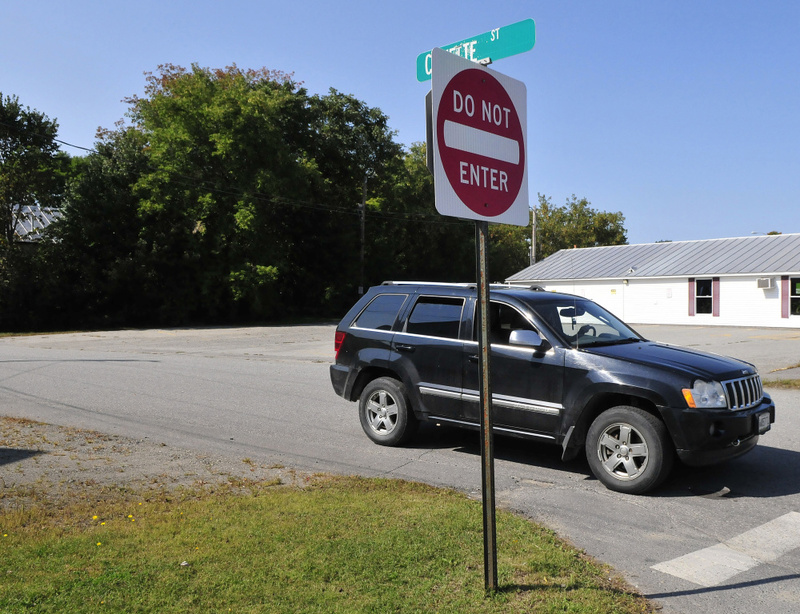 SKOWHEGAN — Frustration over speeding cars and high traffic volume in one Skowhegan neighborhood has boiled over twice this summer during public meetings. Between 8,000 and 9,000 cars and light trucks — equivalent to the town’s entire population since about 1980 — use Cowette and Gem streets every week. Many are exceeding the speed limit in the residential subdivision. A much anticipated public hearing on the continuing traffic problems and possible solutions is set for 5:30 p.m. Tuesday during the regular meeting of the Board of Selectmen in the municipal office building on Water Street. Target streets that have been a concern to residents include shortcuts to and from Madison Avenue and North Avenue. There also will be a discussion by selectmen and a decision on the purchase of four speed tables, as part of the whole “traffic calming” effort in the area, Road Commissioner Greg Dore said Monday. Signs saying “Do not enter” on Cowette Street at North Avenue and “local traffic only” on Gem Street remain in place since selectmen agreed in August to leave everything the way it was until they hear input from the pubic hearing. Flexible yellow stanchions that had been installed to block traffic at the Cowette Street corner are gone, Dore said. “Somebody stole them,” he said Monday. Dore said he and selectmen are trying to keep to the traffic calming policy that Dore introduced in May based on a model policy for traffic calming in the city of Portland. Traffic changes came in April after speeding and congestion complaints from residents in the neighborhood reached the Board of Selectmen. Motorists were using Gem and Cowette streets as a shortcut both ways from North Avenue and Madison Avenue. 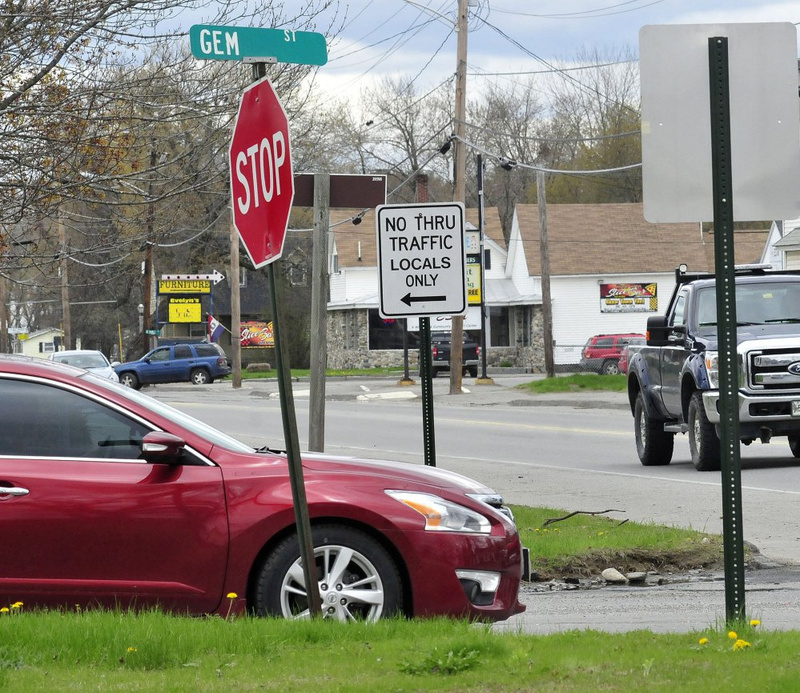 As of Monday, April 17, Gem Street and Cowette Street were made one-way from Madison Avenue — where they meet Greenwood Avenue and Cleveland Street, next to the Belmont Motel and across from the Hannaford supermarket — all the way to North Avenue. The signs have since been removed. Motorists use the shortcuts as part of their regular route, Dore said. The area that also includes West Street, Locust Street, Cleveland Street and Wilson Street, is a residential subdivision and is not meant to be a shortcut across town. Dore said traffic counts in the area show that between 8,000 and 9,000 cars and light trucks use the target streets every week. He said 34 percent of those drivers were exceeding the speed limit. About the same amount of traffic was recorded on Jewett Street, where the traffic was diverted since April, but Dore said that street — despite the presence of an elementary school — is designed for feeder traffic. 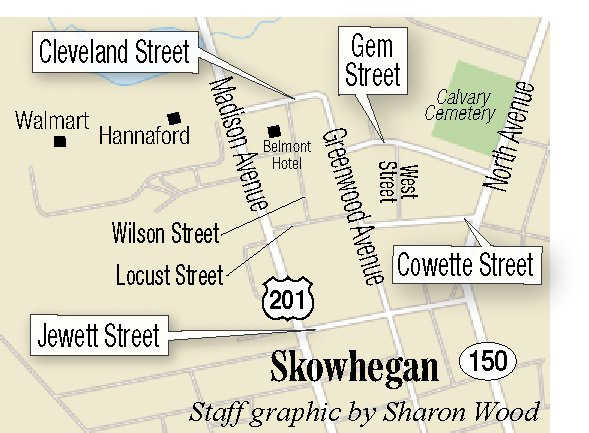 Traffic problems in Skowhegan may have been hatched decades ago when the original layout for streets between Madison Avenue, North Avenue and Jewett Street was altered. Dore said that Gem Street didn’t even exist on an old map that hangs in the Selectmen’s Room at the Town Office. Cemetery Street, as it was known then, didn’t go all the way through to Greenwood Avenue as Gem Street does now — it turned at West Street, finally leading to Jewett Street. Gem Street ultimately was extended to Greenwood Avenue, making a quick and easy shortcut from one side of town to the other. Then came all the big box stores and shopping plazas along Madison Avenue and with them heavy traffic. Dore said traffic calming could mean speed tables, stop signs, one way streets and other restrictions. The idea behind speed tables is that if you can’t stop traffic from coming through a neighborhood, at least you can slow them down. The cost for four speed tables is $15,436. The speed tables Skowhegan will use if selectmen approve are flat-topped rubber mats that are four inches high, ramped 15 feet wide and 14 feet long and are black and bright yellow for high visibility. The tables come in kits of 50 squares, each of which will be bolted to the pavement. It will take three workers six hours to install them, Dore said. Dore said he expects to take delivery of the speed tables in about three weeks once, and if, he gets approval. The mats can easily be unbolted and removed for winter plowing if necessary, he said. Of the four complete speed tables, one will go on Gem Street, one on Cowette Street and two on Greenwood Avenue.